The National Merit Scholarship program is designed to recognize academic excellence, and its standards are extremely high. About 1.6 million high school juniors across the country take the PSAT; only 1% of those students achieve test scores high enough to become National Merit Scholarship semifinalists. 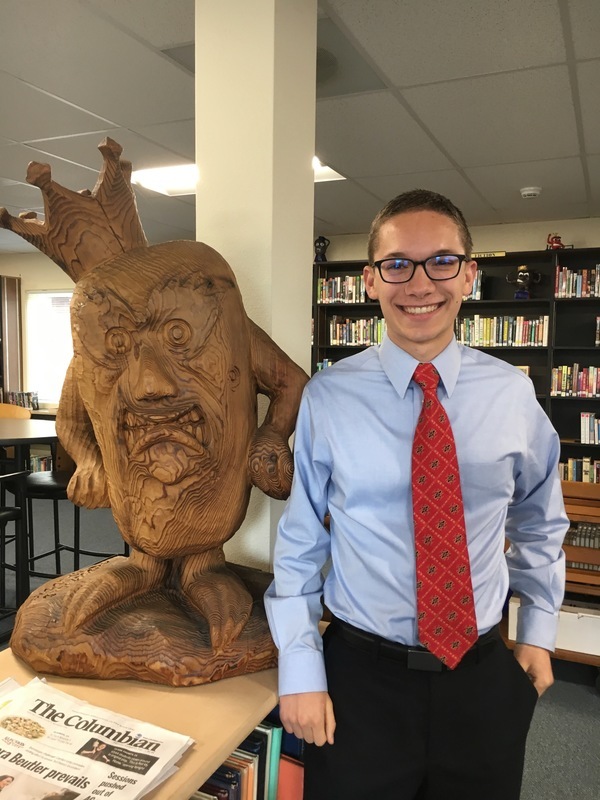 For the first time in sixteen years, one of the semifinalists for the 2019 National Merit Scholarship Program is from Ridgefield High School: Ian Abrams. Abrams will be the twelfth student from Ridgefield High School named as a semifinalist. RHS’ last National Merit award winner was Ian Vanwyhe in 2002. Interestingly, Abrams didn’t hear that he was a semifinalist from the school, which is how semifinalists are usually notified. “They were supposed to send a message to the school but somehow that got lost in the mail or something. I found out by reading it in the Seattle Times,” he laughed. Busy as he is with academics, athletics and community projects, Abrams is able to manage all of his commitments quite well. Abrams is enrolled in AP courses and maintains a 4.0 GPA. Currently, he volunteers as a peer tutor for the high school’s Spudder Academy twice a week during some of his lunch breaks. He is also a varsity athlete and captain of the cross-country team. Last summer, he traveled to Belize to help build a school library with a humanitarian group. His Eagle Scout project involved setting up an annual book sale and constructing decorative trees for the Lakeside Community Library. On the day we interviewed him for this story, Abrams was emceeing the high school’s Veterans Day assembly. The National Merit Scholarship semifinalist award is sure to be one of many recognitions for Abrams’ hard work. Ridgefield High School and the Ridgefield School District proudly congratulates Ian Abrams on this remarkable achievement.